Original NASA Photograph, untouched and unedited. This is the highest resolution available. 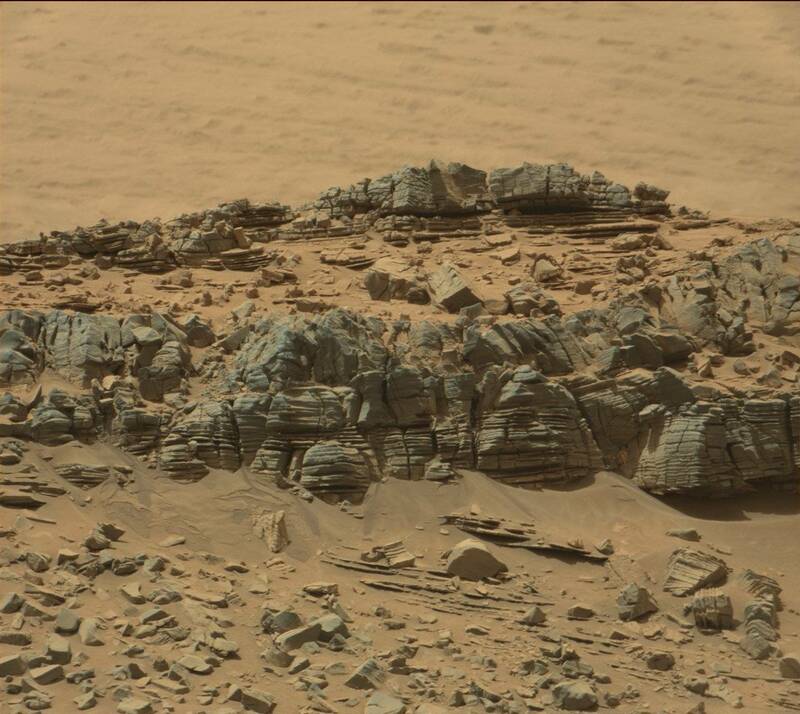 This image was taken by Mastcam: Right (MAST_RIGHT) onboard NASA’s Mars rover Curiosity on Sol 710 (2014-08-05 13:25:07 UTC). 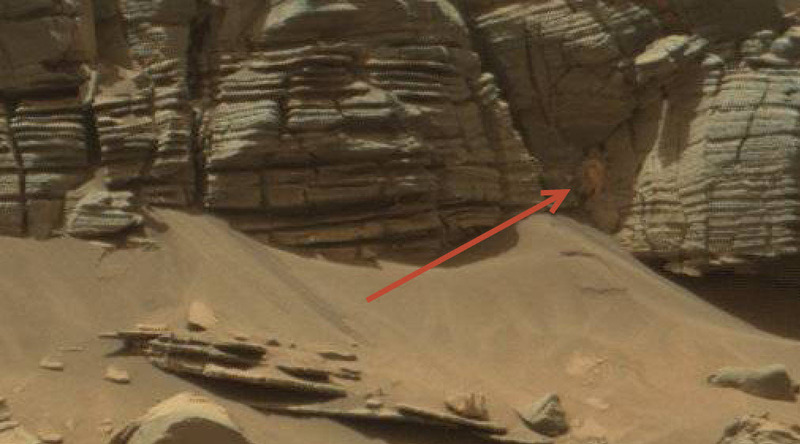 In this photo from the surface of Mars, there is a mysterious and unknown looking creature or plant life on the wall of a rocky outcrop. What is it? Although many photos on Mars are said to have “objects” like a squirrel, or Nazi helmet, or Sasquatch, many are explained away by pareidolia, the psychological phenomena of seeing something that isn’t like – let’s say, like a horse in a wisp of clouds. 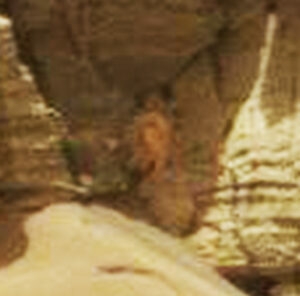 This photo, in my opinion, is slightly different, and shows something that is definitely not rock-like in the photo. 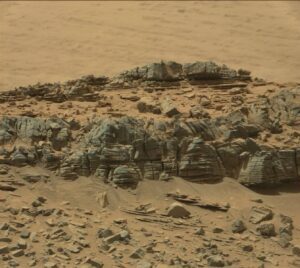 It even appears to have a different shade of color than the surrounding rocks, supporting that this is something other than, the rocks. This has been cropped, zoomed and the brightness / contrast has been adjusted. You can clearly see there is something that, doesn’t quite look like it blends in to it’s surroundings. Have a theory? Submit your idea in the comments below! The most plausible will be added to the case file itself in this section, with full credit to you! What is the Curiosity Rover? Curiosity is a car-sized, six-wheeled robot destined for Gale Crater on Mars. Its mission: to see if Mars ever could have supported small life forms called microbes…and if humans could survive there someday! In addition to super-human senses that help us understand Mars as a habitat for life, Curiosity’s parts are similar to what a human would need to explore Mars (body, brains, eyes, arm, legs, etc.). Check it out though–sometimes they are located in odd places!